Turns out I was wrong to have been so sceptical. I spent a good portion of the gig with my eyes closed just enjoying the power of her voice and the familiar melodies from the past ten years. And so before I continue with the rest of the review, I want to make one thing abundantly clear – she is a phenomenal singer. 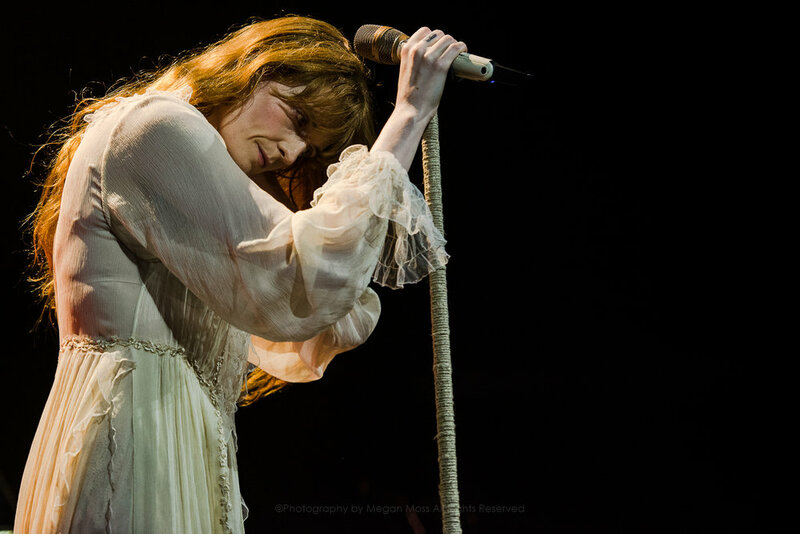 Florence wafted on to the stage in a ghostly white dress and opened the show with June and Hunger, the first two songs on the new album, High as Hope. Hunger in particular grabbed the enthusiasm of the crowd and an enjoyable high energy feel continued throughout the concert. The set list jumped considerately between old and new songs, with sing along anthems like Dog Days Are Over nestled among more sombre tracks such as Patricia. In the gaps between songs we got a chance to get to know Florence, who is much more of a hippy than I had previously realised. At one point we were all asked to hold hands – and I was thankful that I was there with my partner and that no-one else around me made eye contact. I’m all for audience participation, I just don’t want to participate physically with the audience. 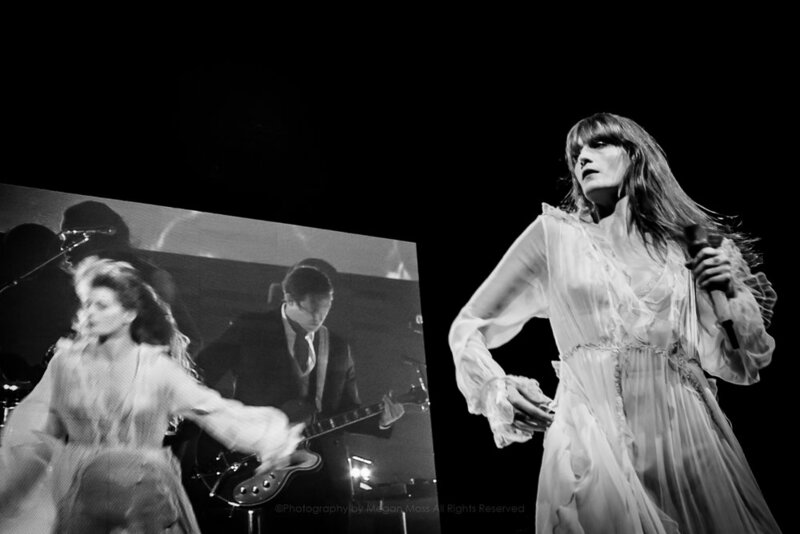 I appreciated the way Florence openly introduced her songs and appeared to be truly enjoying herself up on the stage. At one point she bravely (I thought) moved through the audience, singing impressively as the crowd kindly parted to let her pass. This seemed like a nice touch, and I got the impression that she really did feel connected to her fans and to the audience in a way that you don’t see often. Whilst I wasn’t able to fully copy her floaty dance moves in my small viewing space, I happily bobbed about, sang along and, ultimately, thoroughly enjoyed myself. By the encore the audience was in full dance mode and the track Shake it Out made an excellent finisher. As this final song drew to a close, and confetti rained down from the heavens, I felt that satisfied feeling you get at the end of a really good concert – that feeling that you just witnessed something a little bit special. And that you’d definitely do it again.